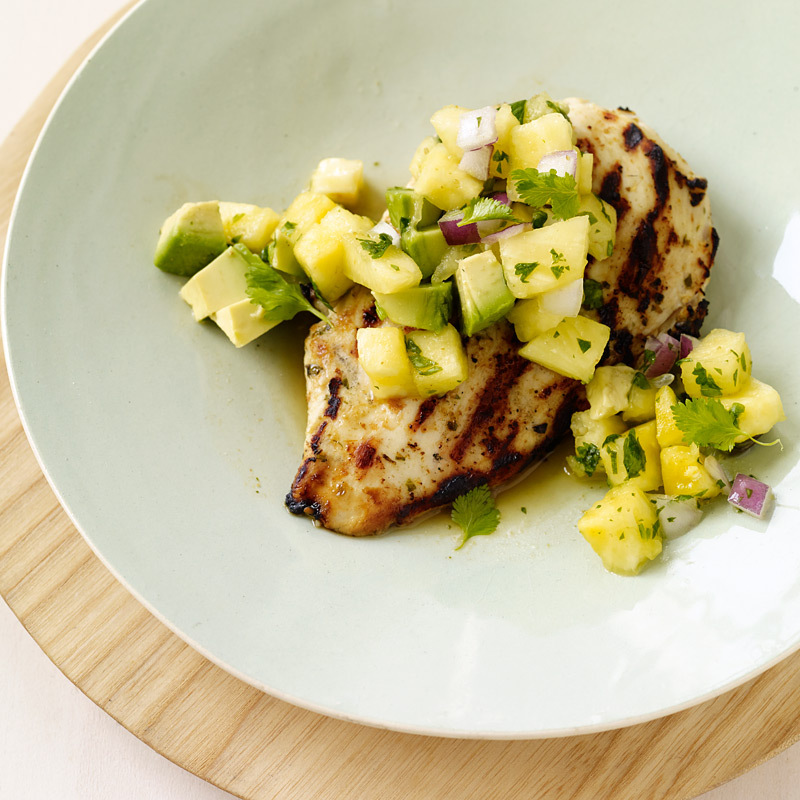 Pineapple pairs well with rich, creamy avocado to top this Cuban-inspired recipe. It’s also delicious with pork chops or grilled firm fish such as mahi-mahi. Notes*There's no need to buy pineapple juice for this recipe. Prep the pineapple the day before, store it in a glass container with a lid and refrigerate overnight. There should be enough juice accumulated in the bottom of your container by the next day to use in the recipe. If not, however, use canned pineapple juice instead. Turn this recipe into a salad by cooling the chicken and tossing it with the salsa; serve over a bed of greens.